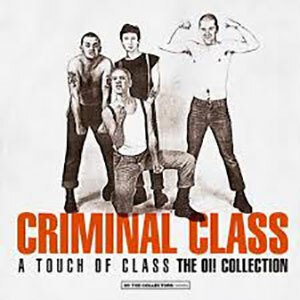 (CRIMINAL CLASS was formed back in 1978 in Coventry (UK), the same city as The Specials. This young skinhead Oi! band released a single entitled "Fighting the System" in 1982 for Tempest Records , 2 songs on Strength Thru Oi! compilation released on Decca Records in 1981 and several demo tapes (1980, 1981 y 1984). Captain Oi! compiled and released a CD back in 2000, now 16 years after Evil Records goes a step ahead and includes 2 bonus tracks to that compilation, mastered the recordings and releases for the first time on vinyl many of these songs.